Our SVP Product, Rishi Dean, made a guest appearance as professor of digital marketing at Cornell University. As part of his invitation to speak at Cornell, Rishi was asked to create and propose a business case for students to complete. While the full text of that case isn’t publicly available, below are the presentation slides Rishi used to take students through the evolution of online advertising and how the rise of social networking is transforming the space. Our CEO, Ric Calvillo, was invited to speak to financial services leaders at The Ad Club’s day-long “New Currency” financial marketing summit. His panel, which also included leaders from Twitter and GSN, focused on how financial services companies are leveraging Facebook to drive their business goals. We recapped the event here, and you can view his presentation slides below which speak to the Facebook advertising opportunity for financial services companies and examples of how leaders in the sector are leveraging Facebook. 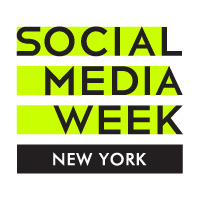 Our SVP Business Development, Ben Tregoe, was invited to speak at Social Media Week NYC as part of the Brand Innovator’s Social Media Summit earlier this week. This day-long summit brought together digital media executives from some of the world’s most followed brands — JetBlue, PepsiCo and Mercedes to name a few. Ben’s panel followed the lunch keynote, and focused on how top brands are making money with social commerce. Offering example results and case studies, he was joined by leaders from Gilt Groupe, Dell and Carnival Cruise Lines, and all shared case studies and results from actual campaigns. While slides weren’t part of this presentation, you can learn more about the event here. More locally here in Boston, I was invited to speak on a panel about startup marketing at eFactor and WorkBar Boston’s Founders & Marketing event. With a crowd full of early stage entrepreneurs, for the most part all founders, I was joined by leaders from One Pica and 451 Marketing. With topics ranging from how to create a marketing plan, how to make the most of limited resources and PR strategies, founders were encouraged to ask questions throughout the panel which resulted in a discussion of implementable tactics and best practices in startup marketing. Interested in having someone from Nanigans speak at your event? Please contact us!